We have seen this enemy flying around the apiary and are fairly easy to kill. 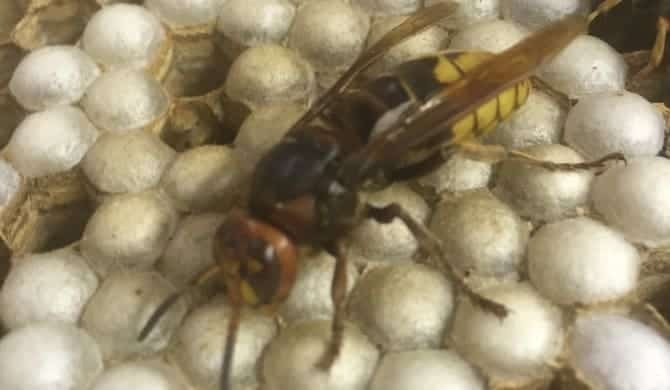 Are there more then one queen in the hornet nest? This video examines what the European Hornet nest looks like. Yes, I was a little nervous dealing with this nest.